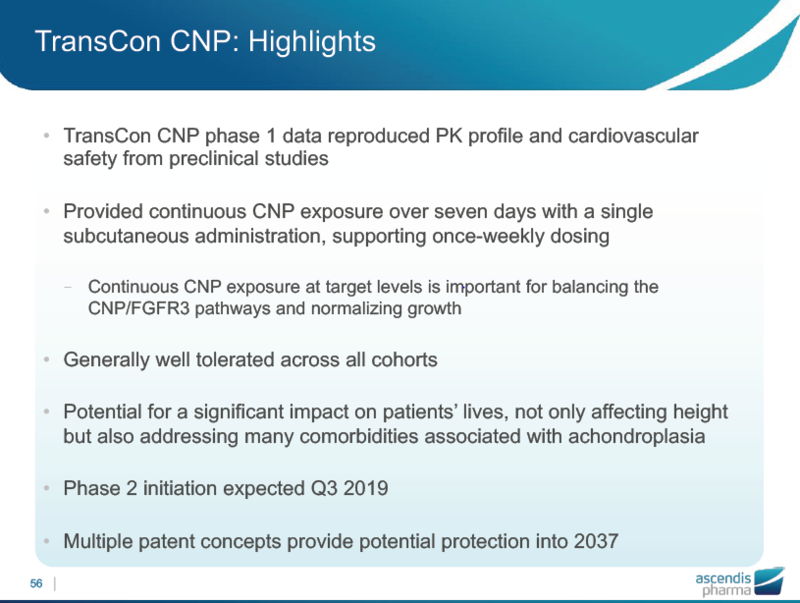 Ascendis Pharma(HQ: Copenhagen, Denmark) is applying its innovative TransCon technology, which combines the benefits of prodrug and sustained-release technologies, to develop a pipeline of therapeutics that address significant unmet medical needs. 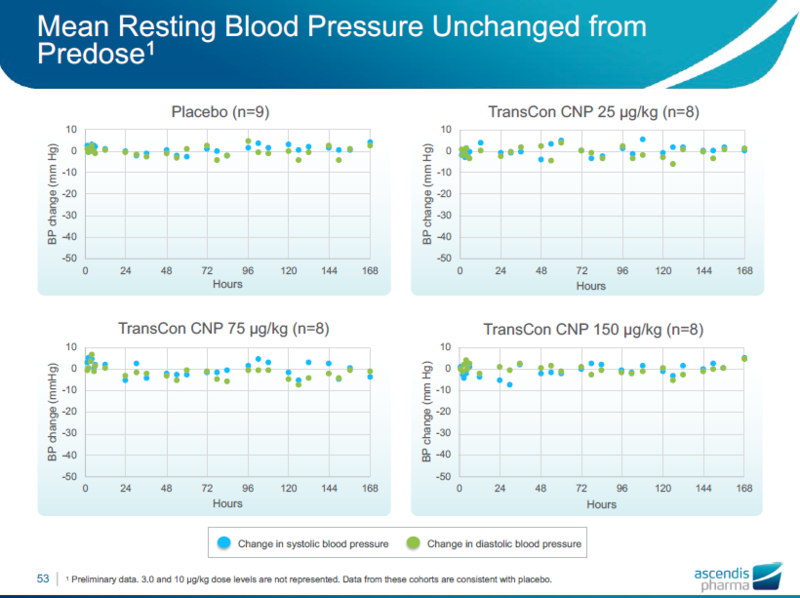 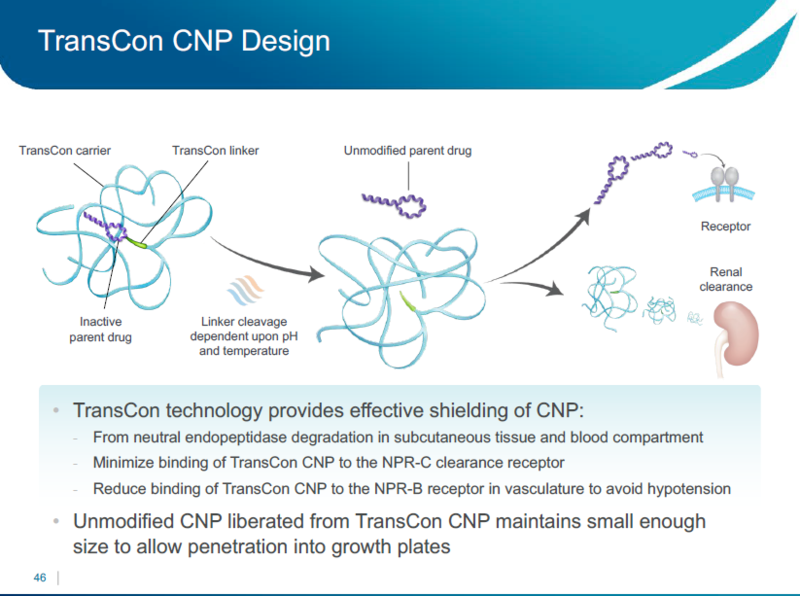 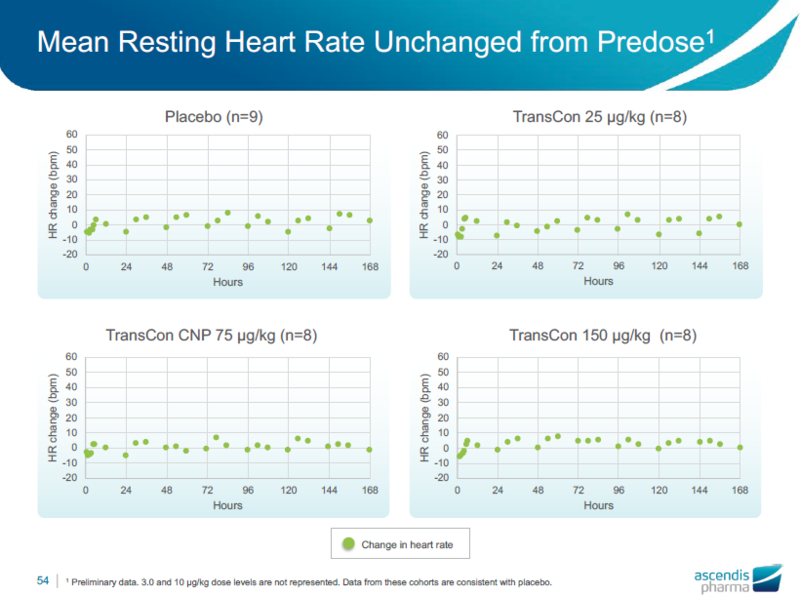 The TransCon technology can be applied to existing drug therapies, including proteins, peptides and small molecules, to create prodrugs that provide for the predictable and sustained release of an unmodified parent drug. 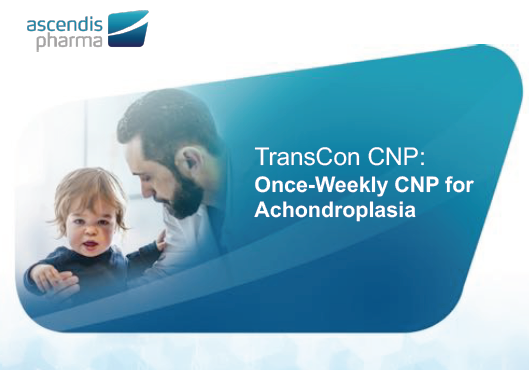 Now they are focusing on three rare disease endocrinology candidates, and one of the them is achondroplasia and they focus on CNP and they are trying to weekly dose treatment to decrease patients’ daily burden. 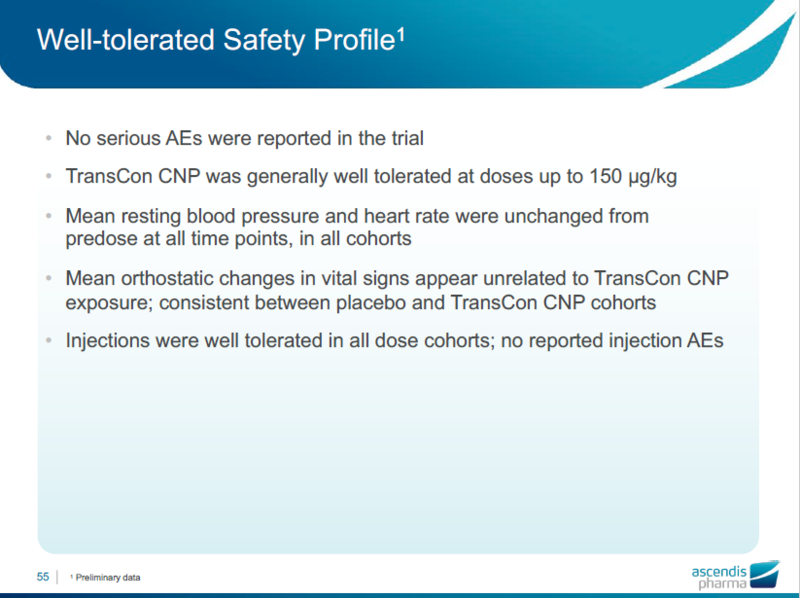 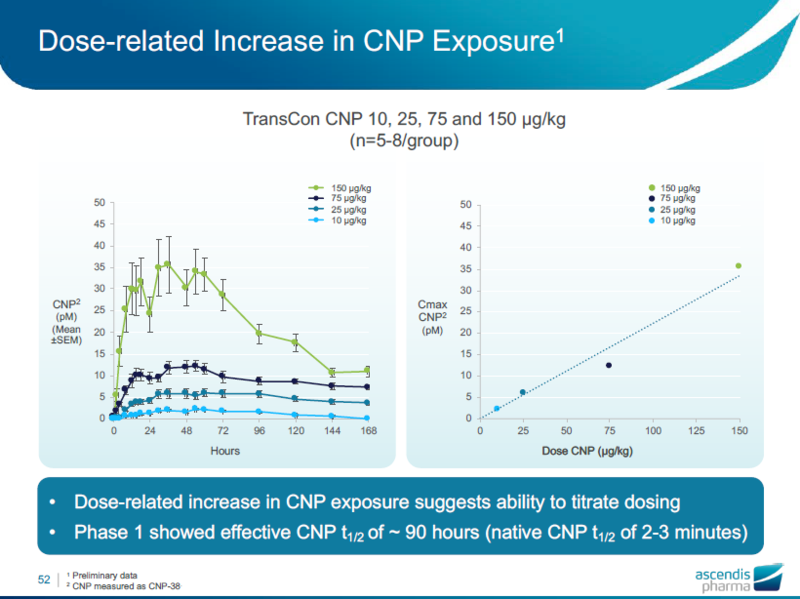 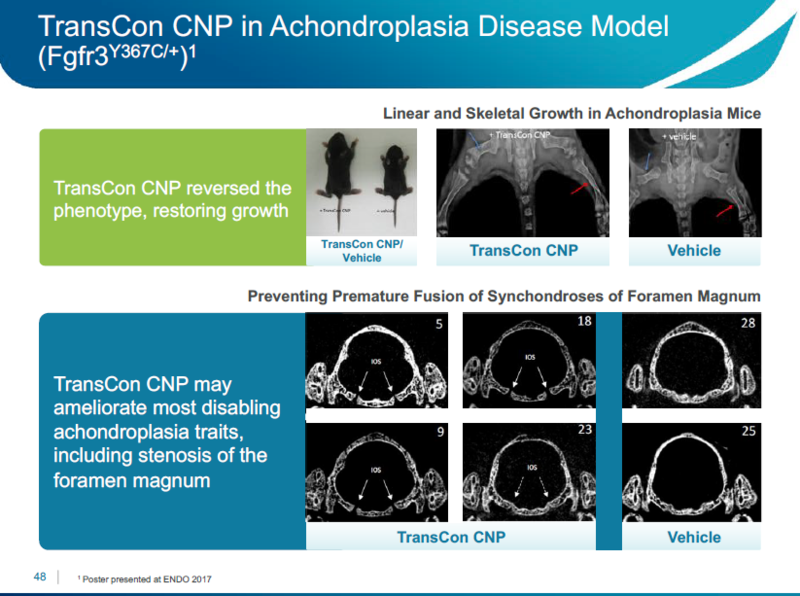 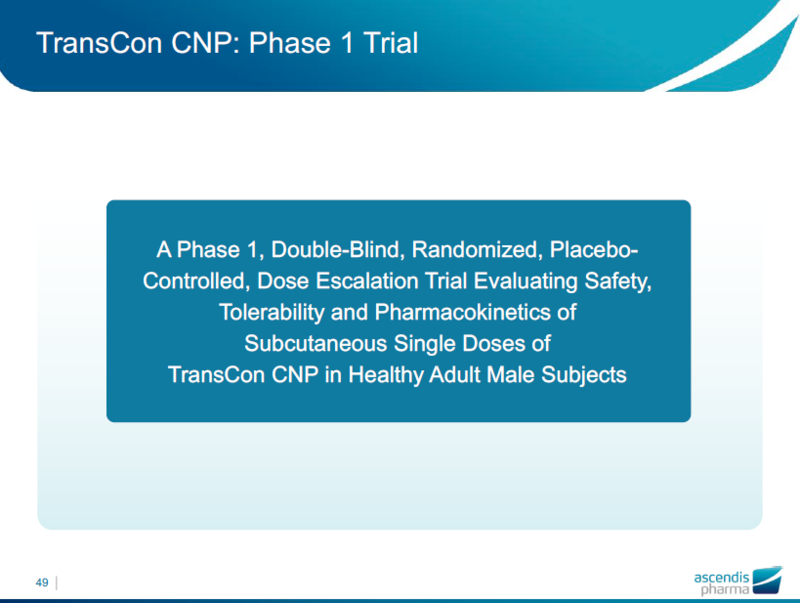 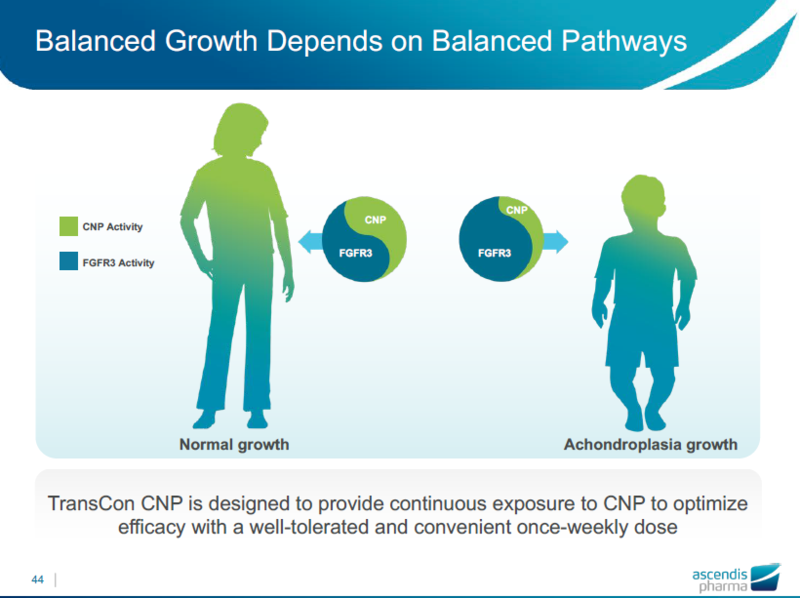 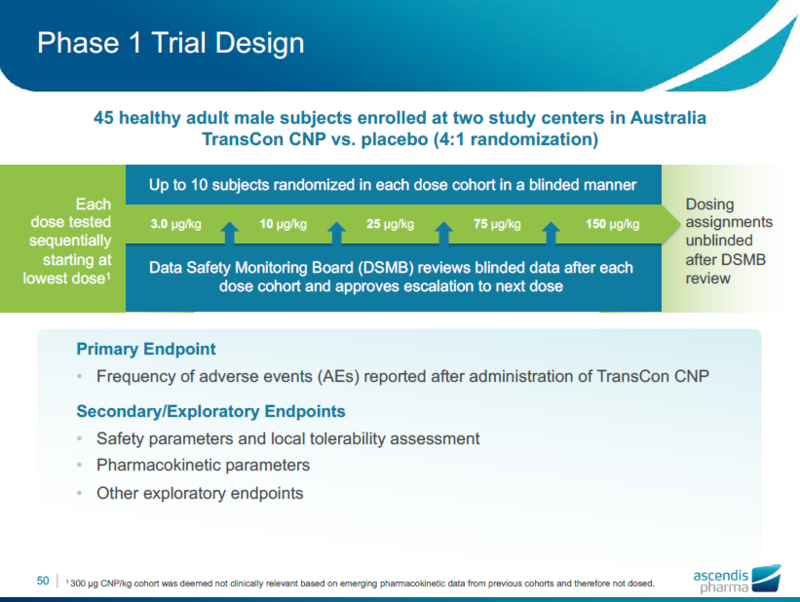 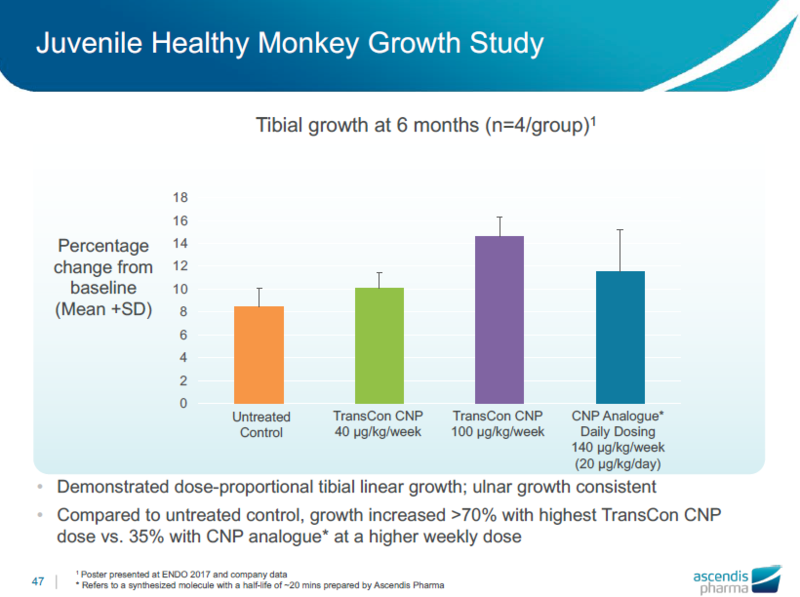 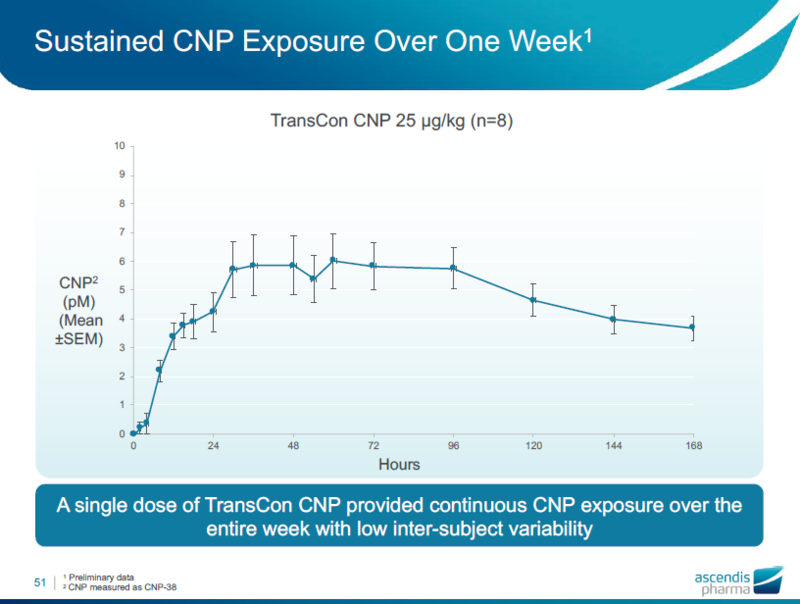 Regarding this treatment for children with achondroplasia, they released finishing TransCon CNP phase1 trial in 28th November 2018 and now seeking start Phase 3 according to their presentation slides.